Fisker’s corporate family is growing with an interesting autonomous vehicle (AV) concept that’s been developed with help from friends in China. 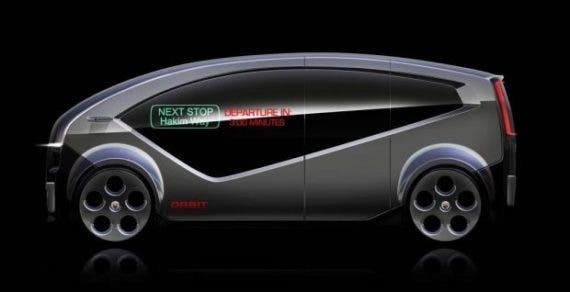 Fisker teased a while back an autonomous shuttle called the Orbit. The Orbit is tailor made for eventual smart cities. In order to do this, Fisker Inc. teamed up with Wang Qicheng (Jack Wong) from the Chinese Hakim Unique Group to create this smart self-driving electric shuttle. The autonomous shuttle is expected to hit the road by the end of 2018 — although, details haven’t been revealed yet. As with any driverless shuttle, the Fisker platform will make use of a logical boxy design in order to maximize interior passenger space. Although Fisker has revealed little to nothing about the specifications of the AV, what we do know so far is that the Orbit will have a generous digital display that will communicate with its commuters. It will display basic information, such as when it departs and what the next stop will be. The Fisker Orbit will have its maiden trials conducted by the Hakim Unique Group, presumably in the US. Both Fisker and the Hakim group hope to set a foundation for driverless vehicle transportation in smart cities in the US. More of a transportation pod, the Orbit displays its “Next Stop” and “Departure in 3 minutes” quite visibly, which leads us to think this will be a global platform destined for smart cities around the world, as well as hotel shuttles, amusement parks, etc. Fisker teased a picture a while back and has really been pushing it of late. 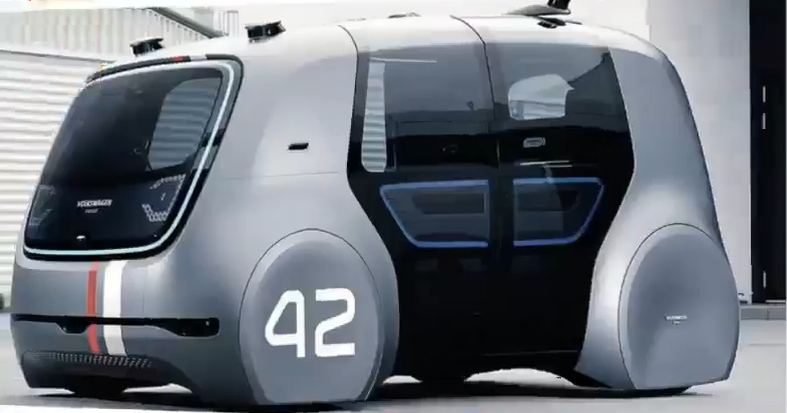 If pictures are worth a thousand words, videos will give you a better idea (albeit in German about this quirky and exciting self-driving Orbit shuttle. We are betting on seeing the Fisker Orbit in Los Angeles. Does anyone want to bet?